Oppression is the law of the land. Always has been. Throughout history, emerging white societies in the west routinely developed dominant groups intent on reigning over other, less powerful members—women, Jews, black- and brown-skinned people, for example. But why? And what can we do about it—especially, those of us who resent that we benefit from the arrangement? A big thanks to Milkweed Editions for publishing this important book and for helping us connect Jessie with one of the most thoughtful, nuanced writers of fiction working today. 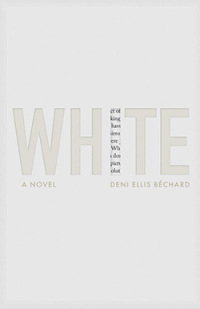 White is presented as a novel, yet the book is clearly at least semi-autobiographical. I’m wondering if you could share more about the reasoning behind your choice of positioning yourself as the almost painfully self-aware central character. After all, you could have simply changed the name, but kept the elements of your own experience. Why not? I wanted to write a character who was uncomfortably close to me and to my ignorance and illusions. I also wanted the reader to contend with the character as a real person and not someone whom they could unconsciously dismiss as a fictional representation of a certain type of white person. I made this decision because it seems to me that there’s a tendency among many white Americans to make a strong distinction between good and bad whites, while, of course, identifying themselves as the good whites and displacing society’s evils on the bad ones. In this view, there are the racist whites—among them, the whites who benefitted from slavery or who currently benefit from racist policies at home and abroad—and there are the good whites who are known to verbalize their wish that they could do something to change racism in America. The result is the displacement of white guilt into a character we can all agree to hate, and the emphasis on the innocence of good whites, who appear less as beneficiaries of a racist system (which they obviously are) than as victims of the evil whites who dominate that system. I wanted to muddle the readers’ ability to define the protagonist in a comfortable way and to make them inhabit the mess of self-awareness, guilt, and displaced accountability that is often the white liberal consciousness. I didn’t want readers to be able to find refuge in dichotomy or in an innocent, almost blank protagonist who observes racism with horror while not participating in it. I also wanted to explore the ways that white people can, in many ways, be “painfully self-aware,” as you say, while also being part of a racist culture that we reinforce with our actions. By making the fictional aspect of the character questionable, I hoped to introduce an element of discomfort. It is far easier to judge a fictional character while assuming that the author is self-aware and writing from a moral high ground than it is to question whether the author himself deserves to be judged and even read. I’d say your efforts in introducing discomfort and, hopefully, inciting introspection through modeling the central character after yourself were successful. I’m curious how you found the experience of writing a character so “uncomfortably close” to you. Could you tell us a little more about that process? I have often heard writers discuss the challenge of conveying human complexity on the page, and the way that characters can have only so many attributes before they become amorphous in the reader’s mind. I particularly found this to be challenging, since I am conscious of my numerous contradictions and the ways that I can be hyper-sensitive and aware in one moment, while stumbling blindly into the next. As a result, I had to do a good deal of editing to figure out how to shape this character in such a way that he could be read coherently. It seems to me that when people read a character, they tend to take every action and thought as representative of him as a whole. For instance, a moment of anger, dishonesty, lust, promiscuity, or selfishness might be read to mean that the character lacks values, self-control, or respect for others, even though most readers have experienced similar moments while still knowing that there is so much more to who they are. So I had to think about reception a great deal and evaluate how to organize the internal, contradictory mess of my own consciousness to create this character. This process was very uncomfortable at times, precisely because I could see how each aspect of human complexity could be made to represent something overarching about the character and could obscure other qualities. I wanted to be as honest as possible about my privilege and blind spots, and the contradiction between my efforts to do good while working overseas and any harm that resulted. To my mind, we live in a highly moralistic time, with a lot of posturing that doesn’t result in action. Social media has created a forum for public shaming and for speaking out against injustice, often by people who risk very little in their lives to prevent injustice and are the beneficiaries of the social structures created by the racist and capitalist systems that they are criticizing. I wanted to write a character that people would be quick to criticize but who, to my mind, is not terribly exceptional—as far as white men are concerned—in how he enjoys his privileges. Even though the character is fictional, he contains enough elements from my life that I found myself wanting to explain him, especially since I was using him as bait to draw readers in so that they might find themselves confused within their own illusions of moral superiority. But, in short, every aspect of writing the book was uncomfortable, since I wasn’t trying to portray a white man behaving the way educated liberal white men are supposed to think, behave, and see others, but the way that—at least to my eye—they often do behave, even when they have good intentions. Another way of saying this would be that the character falls into social patterns based on his whiteness, and even though he is self-aware enough to critique those patterns, he fails to identify and avoid them in his personal life, or lacks the will to do so. There was nothing comfortable about using myself as an example of this, or admitting that I have struggled in this way. There’s a gorgeous moment in the book later, where the narrative switches viewpoints briefly, and there’s a commentary on how even a taken-for-granted way of looking at the world can be culturally informed. How do you approach telling the story from a different viewpoint while avoiding colonizing that viewpoint? I am not sure that it is possible to write a viewpoint without “colonizing” it to some degree. Writing anything other than the narrowest autofiction results in writers employing characters distant from their experience in the construction of a world view, whether this is done consciously or not. Yet one of the powers of fiction lies in how we can use characters to see the world from different points of view, and the greatest problem with most fiction is it doesn’t go to great lengths to accomplish this. For instance, white writers such Lionel Shriver who defend their right to appropriate other viewpoints didn’t, to my mind, address the real problem. They merely argued that fiction is the act of seeing the world from different points of view, and that they had the right to do this. I would argue that they made no great effort to offer all of those points of view with authenticity. The blindness comes, I think, from the fact that most white writers haven’t felt the need to redefine themselves against a culture that constantly portrays them in ways that feel inauthentic and oppressive to them, whereas individuals in the minority have a history of having to reject white people’s portrayals of them that have more to do with white fear, guilt, and entertainment than with any reality those people are actually experiencing. As writers, I think that we should be asking whether we are reaffirming what we take to be true without investigating it or whether we are trying to understand and explore new perspectives, especially perspectives on ourselves. In the case of my novel, the switch in viewpoint comes at a point when (based on my expectations) the reader’s internal monologue will have accumulated a number of judgments of the protagonist. I want the reader—especially the white reader—to see those judgments echoed after the switch in the point of view, and to realize that the judgments—while valid and necessary—were fundamentally easy, if not obvious and self-righteous, and certainly insufficient if one hopes to make sense of white privilege from the inside. I hope that this serves as a prompt for readers to reconsider the project of the book itself. Knowing that concept is often easier than execution, especially when it comes to self-awareness, how would you recommend an author hoping to embrace the distinction between appropriating viewpoints and really trying to understand and explore new perspectives on themselves approach writing characters of minority backgrounds? In asking this, your character of Pastor Oméga comes to mind. 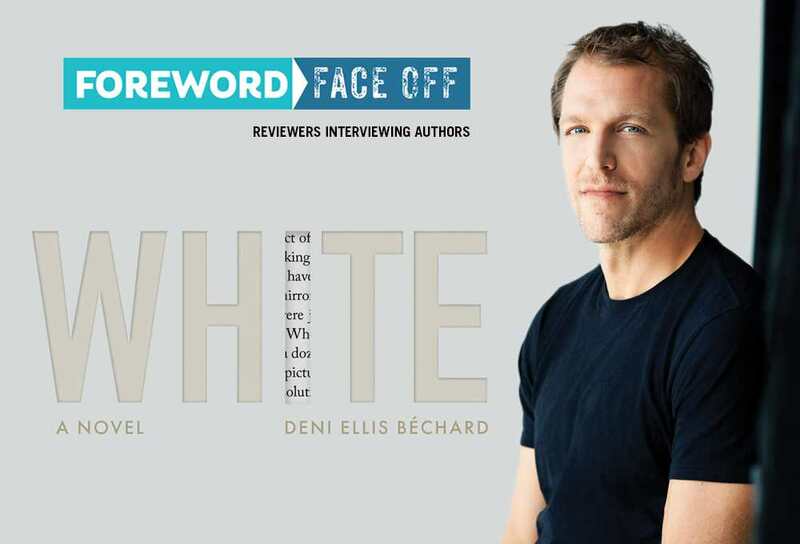 He has his own complex relationship with race, and, with fictionalized-Bechard as proxy, the reader gets what some may find an uncomfortable look into his point of view. Perhaps, there’s some insight into the process of creating this authenticity in how you went about looking at yourself through Pastor Oméga’s eyes? I think that writers most successfully create characters when they have deep human knowledge of individuals with similar backgrounds. But of equal importance is that the characters be represented according to our perspective and knowledge of them. I would not feel comfortable trying to write Pastor Oméga from his point of view. Rather, I tried to show how the narrator’s portrayal of Oméga is composed of the narrator’s uncertainty and projections. Oméga’s character was inspired from months of conversations I had in the Congo. Since I speak French fluently, I was able to converse fairly easily with many Congolese, and hardly a day passed when someone didn’t engage me in a discussion about politics, religion, colonialism, neocolonialism, or racism. A number of Congolese often told me that I, as a white man, couldn’t fully understand how racist, corrupt, and hypocritical most white people were, and how the Congolese were often judged for doing exactly what white people did (especially since white people saw themselves as having higher motives that justified their behavior). After leaving the Congo, I reread Heart of Darkness and was struck by the silence of the Congolese, which couldn’t be further from my own experience. Writing Pastor Oméga, I wanted to create a sense of the conversations I had and the attempts at friendship despite the resilience of deeply engrained racist and white supremacist attitudes to which the narrator is himself blind, even though he doesn’t fully realize or acknowledge the degree to which he is blind. In Oméga, I wanted to recreate the way people in the Congo reflected that blindness back to me. As a writer, I felt that I could authentically create an interaction in which a well-intentioned white man believes that he is befriending the Congolese man before him and seeing his humanity, only to repeatedly realize how much his own limitations, ignorance, and cultural illusions impede him. Of all the interweaving plot lines in this book, the white street girl possessed by a demon was my favorite. She seems too real to be purely invented metaphor, and there’s an almost otherworldly quality about her that directly challenges my hard logic-based, Western view of the world. Can you say more about the inspiration for this story? A few years ago, I wrote a feature for Foreign Policy Magazine about children accused of sorcery in the Democratic Republic of Congo. Sadly, the phenomenon described in the book is real. However, what struck me as I was discussing my research with potential editors and with people in the Congo was the level of fascination with witchcraft and demonic possession, and the relative lack of interest in the plight of the children themselves. I found myself wondering how people would respond if we were discussing a white child in this way. Would the interest be in the child’s narrative or in her wellbeing? The character in the novel grew from these thoughts and from the interviews and research I did in the Congo, as well as from my perceptions of how both Congolese and white foreigners struggled with and obsessed over the idea of whiteness. I also find that there is a tendency among whites to point at what they find odd in African cultures with very little self-awareness of what may be seen as odd in their own cultures. The white street child became a way of exploring the white Western obsession with “normalcy” as, in a sense, the characters searching for her attempt to understand who she really is beneath the culture that they perceive as a sort of accidental contamination. The story becomes, in many ways, about redeeming white innocence while making a commodity of the most dramatically exoticized aspects of otherness, rather than about saving a child or the Congolese street children who are her friends. Ultimately, as is often the case during the process of writing, she took on a life of her own and organically became part of the book.